Simple candle holders in carefully selected coloured marble that spread ambience and warmth anywhere in your home with their harmonious design. 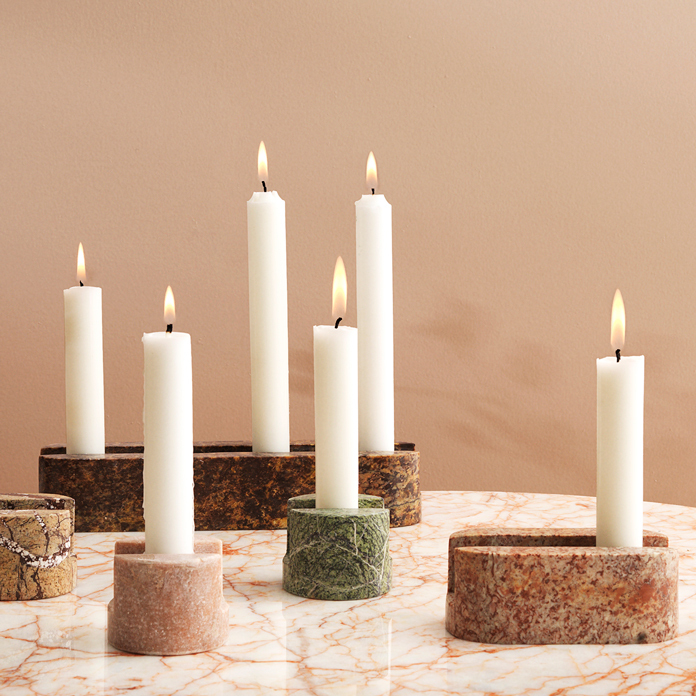 The use of genuine marble means that no two candle holders are alike. Gap comes in several sizes for both a single candle or with room for placing several candles in a row. 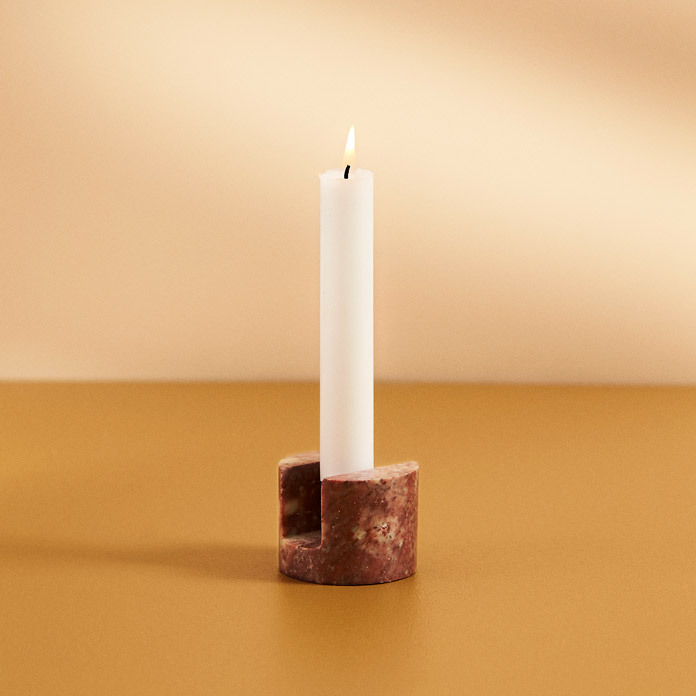 Visually, the candles appear to hover in the Gap candle holder, which has a very simple design and makes you think of deep ravines in the Nordic mountains. 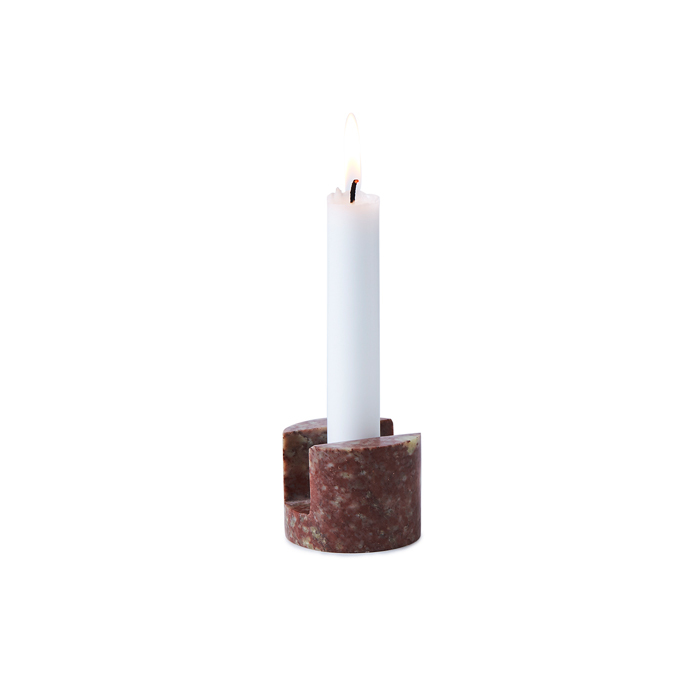 The candle is easily and elegantly wedged in place into the elegant aluminium holders in the crevice at the centre of the marble candle holder, thus setting the design free. Choose between several wonderful nuances of marble with a stunning play of colours. The natural sparkle of marble and the breath-taking colours have inspired a simple design where the material is allowed to take centre stage. Marble has a fascinating quality as the hardness and strength of the material is contrasted by a warm and soft appearance, which is underpinned by the Gap candle holder’s soft and rounded design by Sara Wright Polmar.